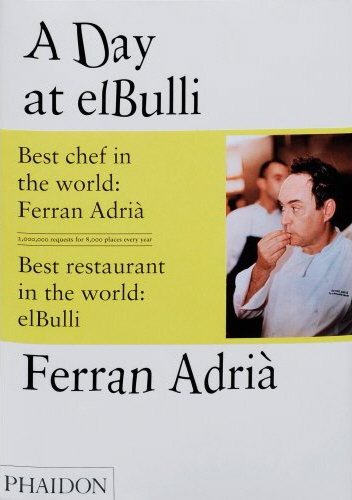 A Day at elBulli by Ferran Adrià, Juli Soler, and Albert AdriàThe demand for seats at Ferran Adrià’s elBulli restaurant in Northern Spain is such that only a fraction of the people who want to will ever get to eat there. Its pedigree is well known – three stars from Michelin, a chef who is the king of molecular gastronomy, two million requests a season for only 8,000 places, four times named best restaurant in the world. With the 2008 Olympic opening ceremony taking place today, enigmatic China is at the center of attention. 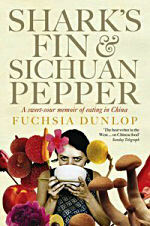 Fuchsia Dunlop’s Shark’s Fin and Sichuan Pepper uses food and cooking to successfully delve beneath the surface. Chef and cookbook author Fuchsia Dunlop’s memoir of her time cooking and eating in China is an enthralling read. In 1994, at a time when China was still very closed off from the outside world, this young Englishwoman moved to Chengdu, in the Sichuan province. Ostensibly, Fuchsia was there to study the Chinese policy on ethnic minorities but food was a strong motivating factor – as she filled out her application form, it was with the Chinese sugarplums of chilli bean sauce, Sichuan pepper and frilly pig’s kidneys dancing in her head. Despite Fuchsia’s early disorientation, she plunged into life in Chengdu, learning the language and finding her way through the bold and interesting flavours of Sichuan food. Before long, she was taking lessons at the Sichuan Institute of Higher Cuisine and was subsequently invited to join a three-month professional chef’s training course – an unprecedented invitation for a Westerner. Not long after food blogging first cropped up on my radar, I discovered Julie Powell’s blog, the Julie/Julia Project. I thought the idea was great – to document her attempts to cook the recipes in Julia Child’s classic cookbook Mastering the Art of French Cooking in just one year – but I didn’t much like Julie’s blog persona and I never went back. How times change. A couple of years later, I couldn’t put down the book that she wrote, much of which was taken directly from her the same blog entries that had annoyed me. While the internet has undoubtedly simplified the matter of finding holiday accommodation, it’s never at hand (unless, of course, you’ve got your portable internet device nearby) when you’re on the road, looking for a decent bite to eat and somewhere to stay at short notice. Situations like these that make you thankful for having a guide book into the glove-box of your car and Georgina Campbell‘s guides to Ireland are useful tomes for such eventualities. With 15 years of eating and sleeping the length and breadth of the country in a tireless quest for the best of the best, John and Sally McKenna have it down to a fine art. This year’s editions of The Bridgestone 100 Best Restaurants and The Bridgestone 100 Best Places to Stay are as wonderfully opinionated and idiosyncratic as ever. And also, very importantly, they are independent. The McKennas and their travelling editors pay for their own meals and accommodation, refusing – as they note at the start of each book – any offers of discounts or gifts. Although cursed with an uninviting cover, Last Chance to Eat, with its investigations into the history and eating of a variety of foodstuffs, is a fascinating read for anyone with even the barest interest in food. For foodies, it should be essential. When I was a little one, with a voracious appetite for books and cooking, one of the books that I devoured was my Nana’s well-used copy of Full and Plenty by Maura Laverty. The distinctive blue and yellow covers contained a treasury of old Irish recipes but the icing on the cake for me were the stories with which Laverty started each chapter.